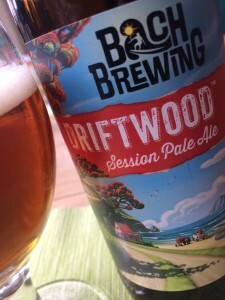 Our newest beer just released; Driftwood Session Pale Ale at 5% ABV, is an easy drinking and tasty pale ale. Brewed with predominantly Riwaka hops from Nelson, and supported by a couple or American hop stars; Amarillo and Citra, plus a handful of specialty malts from Gladfield Malt on Canterbury plains, NZ. Available in 500ml bottles and on-tap at selected craft beer venues.